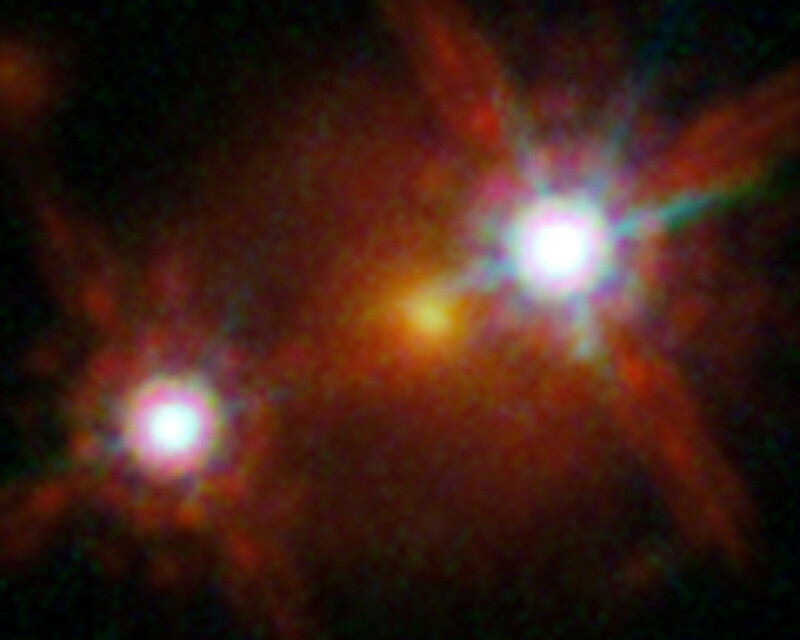 HE1104-1805 is among the five best lensed quasars discovered to date. 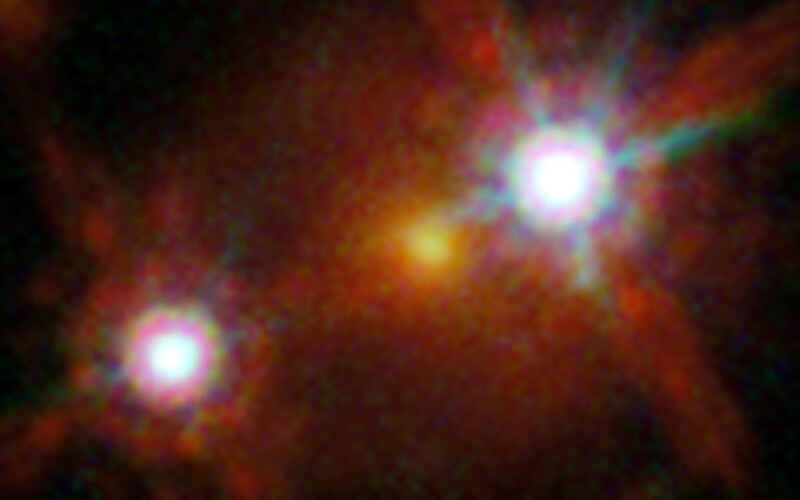 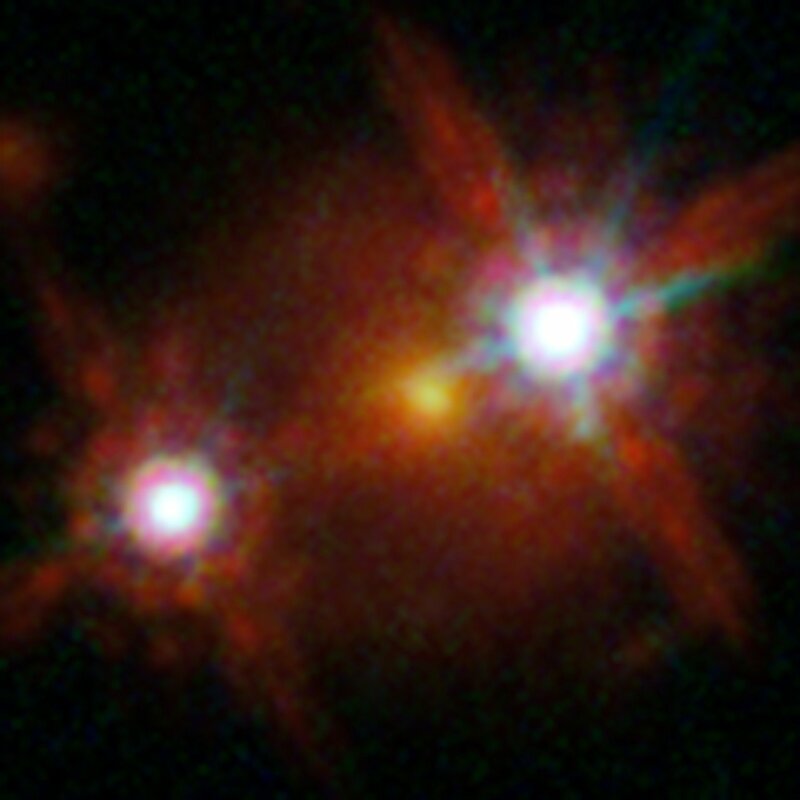 The foreground galaxy in the centre of the image creates two distinct images of the distant quasar to both sides of it. Position (Dec): -18° 21' 24.08"